For the first time in a very long time, the case had a bit of buzz. This month, the state police summoned the Murray family to a meeting to discuss their searches under a home in the area close to where Maura had her wreck and went missing. This area has been the subject of speculation for many years. The current homeowners allowed police to do a full search of the ground in an area but the search turned up nothing. State police indicated that searches had been done in this area previously to no avail. This new police conference gave hope that perhaps Maura had finally been found. However, that was not the case. The announcement was made that searches to the home were done again, with permission from the homeowner, and nothing was found. As always, if you have information regarding Maura’s disappearance or whereabouts, please contact law enforcement. We will continue to provide updates as we have them. 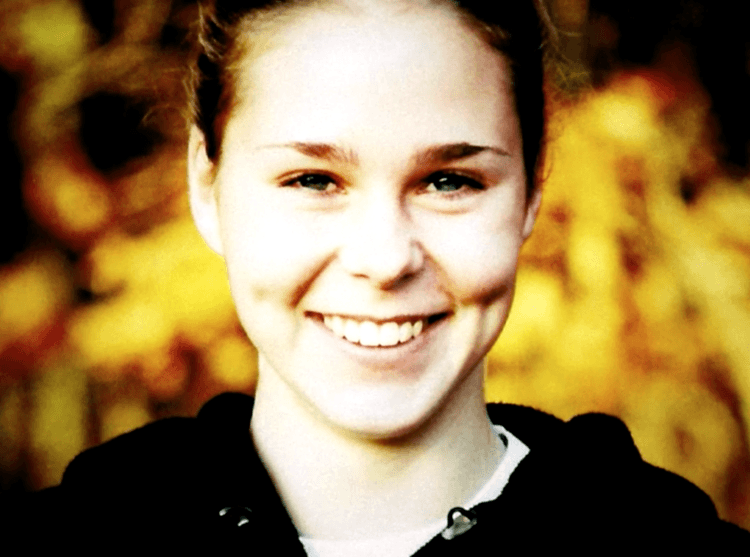 Most persons who study the case of Maura Murray consider James Renner to be one of the most knowledgeable on her disappearance. After all he has written a book, a blog and given a number of talks and television appearances dedicated to the subject. He has spent years researching her disappearance. Mr. Renner had posted back in October on his blog that he would gladly close down his search and the blog if he received any communications from Maura that she was alive and merely wanted to be left to have a life of her own in peace. It is odd, then, that on December 31st, James Renner decided to close his blog to focus on other areas of his career. It leaves us to wonder – did he receive a private communication or did he simply desire to move on? We may never know. However, it does appear that activity has also ceased on the upcoming documentary as well as results of a site search from a show on the Oxygen channel. It does seem as if everyone wants to simply stop digging. It would be wonderful if she is alive somewhere and just needed to get away. We would like to point out that as of this date, we have yet to see any charges materialize against her former boyfriend from the alleged indictments that were called out on the various blogs and docu-series. It is not to say that they do not exist – just that we have not been able to locate any arrests against Bill Rausch. New Life Theory: Maura staged her own disappearance and created a new life for herself. Tandem Driver Theory: Maura was driving one car while another driver ahead of her. After the accident, the other driver circled back and picked Maura up. Frozen Woods Theory: Maura, not wanting to be present when the police arrived for fear of a DWI, wandered off into the woods. She got lost, disoriented, and froze to death. Foul Play Theory: Maura was taken by a stranger who drove along immediately after her accident. Over the past few months, there has been some movement on the Maura Murray case. Believing there to be evidence of foul play near the crash site, private searches have begun using ground penetrating tools. Soil samples have been sent to test for human remains. To date, there have been no published results. As always, we will continue to update with anything significant. If you know anything about Maura’s disappearance, please contact law enforcement. As we continue to follow the disappearance of Maura Murray, who vanished in 2004 from New Hampshire, we see that a couple of interesting things have surfaced. First, the case was followed extensively and documented heavily by a writer named James Renner. He wrote a book as well as a blog detailing his self proclaimed “addiction” to this case. That blog has now been removed. Back in May he had posted that due to the nasty comments he and his family had received over the years regarding his work on this case, it was time to remove the blog entirely. Simply blocking posts was not enough. His theory had evolved to a point where he believed that Maura was alive and had fled to live out her life elsewhere, for reasons of her own or died shortly after. Finally, there were allegations that Maura’s boyfriend at the time of her disappearance was recently fired from his job and has been charged with a number of sexual assaults against women. There were a number of people, especially on the blogs, news shows and certainly the police, who checked out his possible involvement into her disappearance at the time. He was cleared completely and we are unable to find any charges against him involving Maura. In fact, although many statements have been reported by Renner, on several blogs (Reddit) and a docuseries, these are allegations. We are unable to locate where any indictments, (if true), resulted in arrests. We will keep you updated. If you know anything about her disappearance, please contact law enforcement. Maura is a young, bright nursing student in her junior year. Recent criminal history – credit card fraud. Was placed on probation for 3 months to fall off record if no other problems. She did not indicate to anyone that she was unhappy with her life, in fact, there are reports from family that she and her boyfriend were engaged. Her room was packed up as if she was leaving. Police fought the family, refusing to release investigation records, citing that the release of these records would be harmful to the investigation. Her car was found in a snowbank – a rag was stuffed in the tail pipe (see the 911 call log for details). No arrest has been made but authorities continue to refer to this case as a criminal case and most probably a “homicide”. We will update this case as more information comes to light.